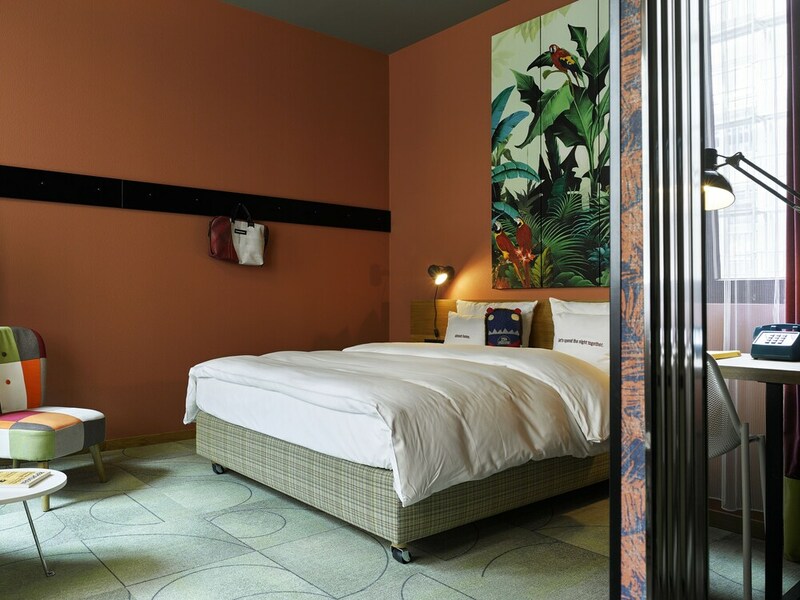 With a stay at 25hours Hotel The Trip in Frankfurt (Bahnhofsviertel), you'll be steps from Financial District and 11 minutes by foot from Frankfurt Trade Fair. This 4-star hotel is 0.7 mi (1 km) from Alte Oper and 0.6 mi (1 km) from Maintower. Make yourself at home in one of the 152 individually decorated guestrooms, featuring minibars and flat-screen televisions. Your bed comes with down comforters and premium bedding. Complimentary wireless Internet access keeps you connected, and satellite programming is available for your entertainment. Private bathrooms have rainfall showerheads and designer toiletries. Enjoy recreation amenities such as bicycles to rent or take in the view from a rooftop terrace. Additional amenities at this hotel include complimentary wireless Internet access, gift shops/newsstands, and tour/ticket assistance. Stop by the hotel's restaurant, BAR SHUKA, for lunch or dinner, or grab snacks at the coffee shop/café. Quench your thirst with your favorite drink at the bar/lounge. Buffet breakfasts are served on weekdays from 7 AM to 10:30 AM and on weekends from 7:30 AM to noon for a fee. Featured amenities include a computer station, complimentary newspapers in the lobby, and dry cleaning/laundry services. This hotel has 3 meeting rooms available for events. Self parking (subject to charges) is available onsite.